Thanksgiving is nearly here, and you know what that means! It’s almost time for my best friend and I to take our annual trip. Each year we try to visit a new country. This year we’ve decided to visit two! Also, apparently Jenni’s niece Delaney had so much fun traveling with us last year, she’s saved up and will join us once again. Our itinerary begins with a short stay in Zürich. 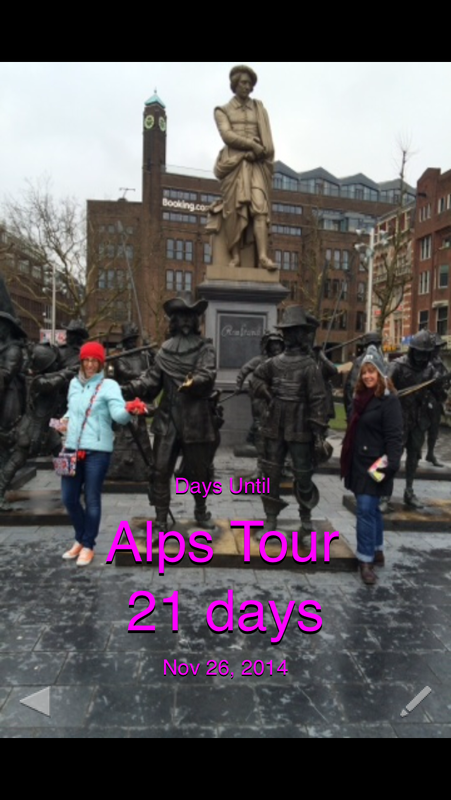 Jenni and Delaney will arrive the day before I do and scout out the best fondue and chocolate locations. After I arrive we will spend the night there and plan to visit Altstadt (old town). From Zürich we embark on an 8 hour train ride through the Alps. Our route will pass Innsbruck and Salzburg before we arrive in Vienna. Our stay in Vienna will include a couple of Palaces and the Imperial Burial Vault. While we are there we will enjoy spatzle, knodel, and strudel. This entry was posted in Getting Around, Life Story and tagged Alps, holiday, thanksgiving, Vienna, Zurich. Bookmark the permalink.